Interesting views on an interesting subject. Thanks for taking the time to write this. I was just telling my family a few days ago "My gut tells me Rey's speeder is going to do well after EOL", its got some nice greebling to it, and is an iconic ship in the new series. 19.99$ is a steal. Only the future will tell. Thanks for the write up Oken. Good read. I have a bunch of these sets that I bought with the intention of building but never got around to it, so I think they might do well given a bit more time. I generally only invest in Star Wars, a few modulars and some Architecture sets as I haven't really been doing this for long enough to assess what else is a good hold. Of those things Star Wars as least seems like a safe bet to at least get your money back. I mean even the maligned Jabba sets still sell at RRP, so if you bought at a good discount (which I always try to do) then you should be fine. Though it does seem like playsets in general do badly for SW over and above the bigger ships and sets. Nice to see you think the AAT might do well. I have a bunch of them that I snagged at deep discount just after retirement. It's a nice little set. The "what sets would the kids of today like tomorrow" approach is very interesting and well thought. Also good heads-up about the Disney strategy of siding Prequel sets in favor of OT and TFA sets. The duds of today could be the winners of tomorrow and the actual winners (like AT-AT) could be stomp on by remakes sooner than expected. I think the smaller sets, especially based off the movies are good bets. Sometimes the smaller sets are much better than the larger sets. For example, if you spent 200.00 on red 5, or that same money on buying 10 jedi interceptors, etc when they were discounted down to around 17.00 during walmart clearance, you would right now be almost doubling your money after fees with less than a 2 month hold. It may take a little bit for Rey's speeder bike to disappear, but I suspect the same will happen. I'd buy a lot more of those than MF's. Even prequel sets are starting to show excellent promise now. The gunships, like stated here are looking very good. I've snagged those for 85.00 over the last year, and now they are up over 230.00 on the lower end. I can see those hitting 350 to 400 if they don't make a new one in the next few years. The gunship is just loaded with great minifigs and is just a solid ship design. If you reread the gunship thread back during the middle of last year, some of us speculated these would hit 200, and they've gone well past that, quicker than some would have guessed. Honestly though, I don't think sets like the AAT, Darth Maul's Sith Infiltrator, the MTT, or half the other Episode 1 sets will be made again in a long time. I think we will see OT sets rehashed to death though. And with each new Anthology film that comes out, i'm sure we will get a mix of OT designs along with new ships just to keep a little freshness to keep star wars collectors shilling out the dough.. Regarding the AT-TE (75019) ... It kind of has already been remade, in the form of the upcoming Captain Rex's AT-TE (75157). Yeah, I kind of glossed over that due to it being a hybridization of rules. I think it will fall under the category of other IPs that don't do so well as the live action stuff. The minifigs are a mishmash of Clone Wars and Rebels and it has the prominent Rebels logo. Treat it like the Malevolence or Pre Viszla's fighter. Agree with you. 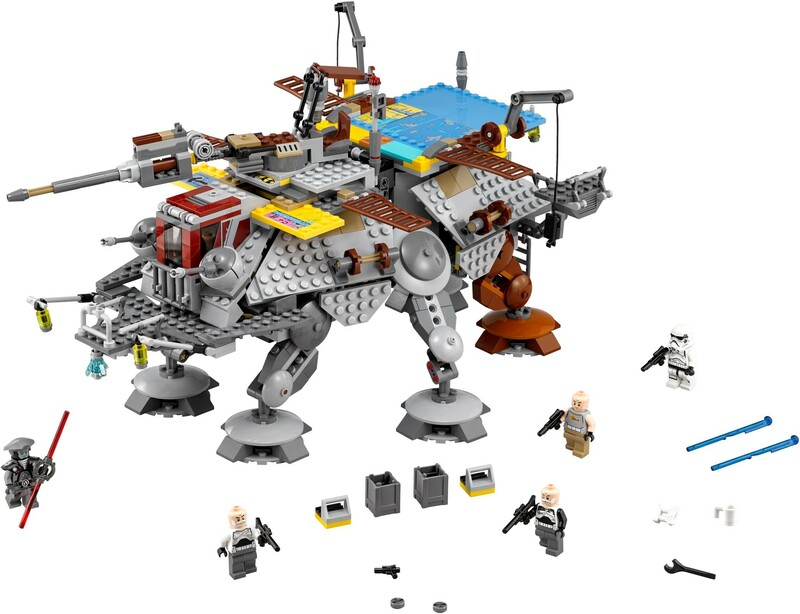 At first when I only knew the title of "Captain Rex's AT-TE" I was curious whether it would be an improved remake of the 75019. But then I saw the box, the Rebels logo, and the picture of the heavily modified AT-TE and I lost interest in it right away. Only interested in the movie sets for myself. Thanks for the article. Interesting read. Great article! It's an exciting time for Star Wars fans. The only worry I have is about the new films. I hope the constant releases don't dilute the franchise like what's happening with all the mediocre forgettable Marvel films. If you release too many too often it can become white noise, or it can just be bland like the prequels. I hope we see some unusually exciting, potentially iconic ships, locations and characters for the new films. Could create a Lego Star Wars collector paradise. I'm afraid that more the former than the latter. As much as I love Star Wars, including Episode VII and the prequels, the lack of effort to make bankable designs for TFA show that they were more interested in recapturing lapsed fans than in promoting anything truly new and interesting. George Lucas filled the PT with new designs and bankable variations of themes. His eye was towards merchandising. They need a production designer that can step up and demand new ships and ground vehicles. I may be wrong, I feel like one may show up within the year. Very good point. The ship designs for TFA were so very forgettable to me unlike the prequels. The only thing they had going for them was nostalgia with the MF, X-wings, and TIE Fighters. One thing I did like was the evolution of the TIE Fighter to have a pilot and a gunner in the cockpit. There has been a rumor on Eurobricks going around that an AT-ST will be one of the Rogue One sets released this fall. Good article, thanks for this great read! I agree with this on the shorter retail life of these sets. I would add that this doesn't appear to be solely restricted to Star Wars though. Many superhero sets that came out last year are already gone, and Jurassic World will apparently be completely gone after less than a year. I've had to buy a few sets for personal use from various themes at manageable markups as they have disappeared completely from stores. On balance this is a good trend for us as it limits supply and increases demand. I'd be very surprised if Lego released an At-at so soon after retiring the last one. Yes the cycles are quicker now but they still need variations on a theme. I think it's more likely at-ats, mf's and other classic vehicles will be on a 3 year cycle, so I think the sweet spot for selling will be 1 yr after retirement. The x-wing is kind of a special case given that two different versions appeared in the new film, which justifies having two out, after all that's the same strategy that other SW toy makers have taken. I do think a new at-st is overdue though and there are other big OT sets that are due a revamp. Given that Rogue one is supposedly about stealing the plans for the Death Star could we be in line for a new £100-150 Tantive IV for instance? And what impact would this have on the prices of the two older models? 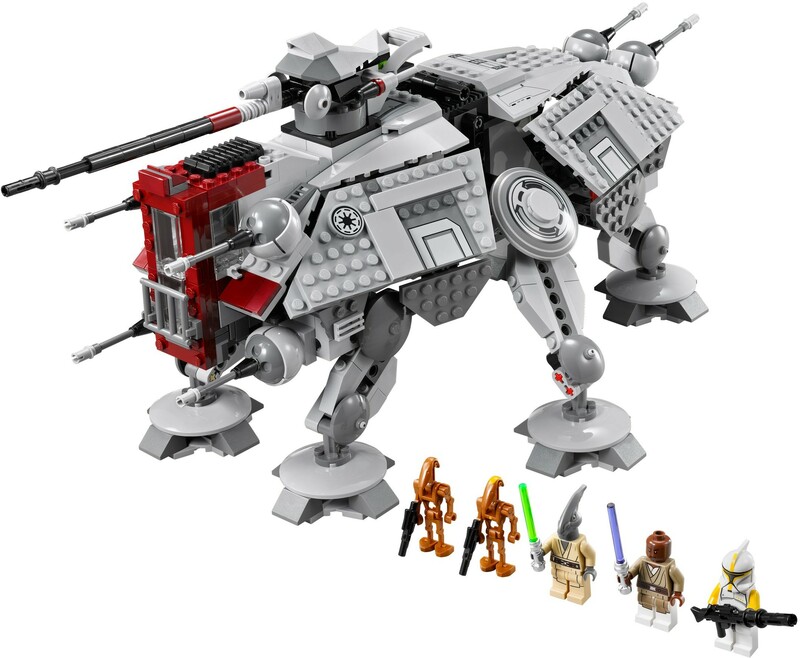 Some footage of Rogue One trailer & images were leaked this week which show scenes of a different style AT-AT tan/beige in color with a door on the side.Lego's seemingly dumb move of retiring 75054 just as they release a UCS Hoth set could be because they have plans to release this tan version as part of the Rogue One sets.Rumor is a trailer of some sort will be shown during the previews of Superman V Batman.In the snippet of footage leaked there is a watermark across the top "Rogue1__BvS" so it seems believable. I don't know if I'm blind, but I really am not seeing any 'winners' in the current crop of releases, other than maybe Ezra's speeder.